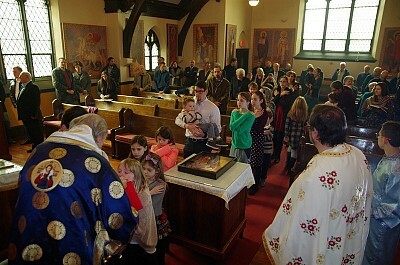 On the Sunday after Theophany, St. Nicholas Serbian Orthodox Church in Philadelphia was blessed to have His Grace, Rt. Rev. Irinej, celebrate the Divine Liturgy. The faithful were greatly edified by His sermon, which began with His Grace expressing how much he desired to come and celebrate the Divine Liturgy with his beloved faithful in Philadelphia. 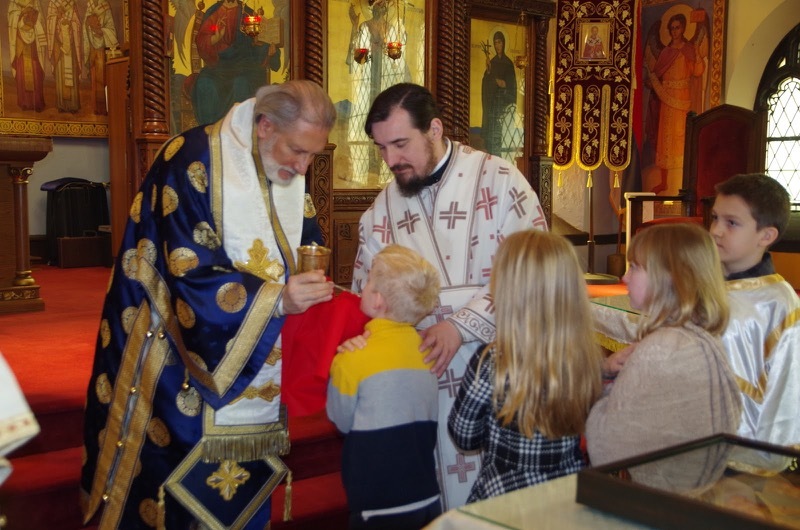 Concelebrating the Divine Liturgy with His Grace were the V. Rev. Milorad Orlic, parish priest of St. Nicholas, and the V. Rev. Protodeacon Milos Zdralic, the new Diocesan Secretary. The children had the opportunity to sing “Oce Nas” and “Spasi Boze” during Divine Liturgy. A luncheon, prepared by the mothers of the church school, was held after Divine Liturgy. At the conclusion of the luncheon, His Grace spoke of the 100th anniversary of the end of World War One, and the importance of maintaining our Orthodox faith and Serbian traditions here in the Americas. Blessing the faithful, His Grace thanked all present for a wonderful afternoon .